Hello Lovelies! Last year I had the pleasure of attending the Lucky FABB conference in September. Let me tell you, it was an amazing experience! 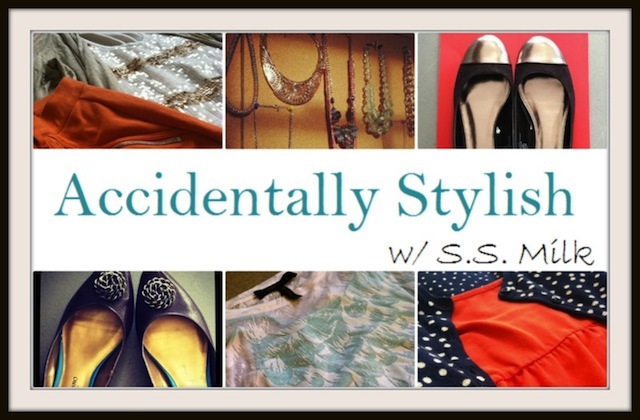 I met so many great bloggers, celebrity stylists, and was introduced to lots of new brands via the fabulous swag bag handed to us at the end of the day. One of the brands that I have come to know and love is a jewelry guru called Jami. Jami is a newly launched jewelry company that creates fun accessories that are not your typical fad--one day in the next day they're out. 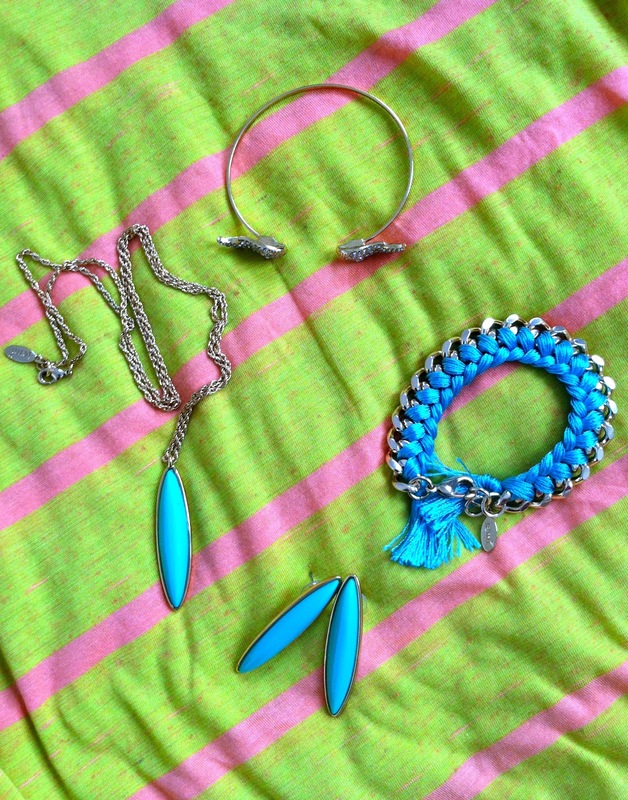 Nope, these pretty baubles are unique and simple, but add the perfect amount of pop to an outfit. I was fortunate enough to be sent some of their fabulous gems (Thanks Jami!) and of course I just had to share the love with you! This beautiful gold and crystal Elvie bangle is darling! The wings on the bangle are super cute and are perfect to dress up your bare arms. It's recommended that you wear it on your forearm which makes it great for those short sleeve shirts. 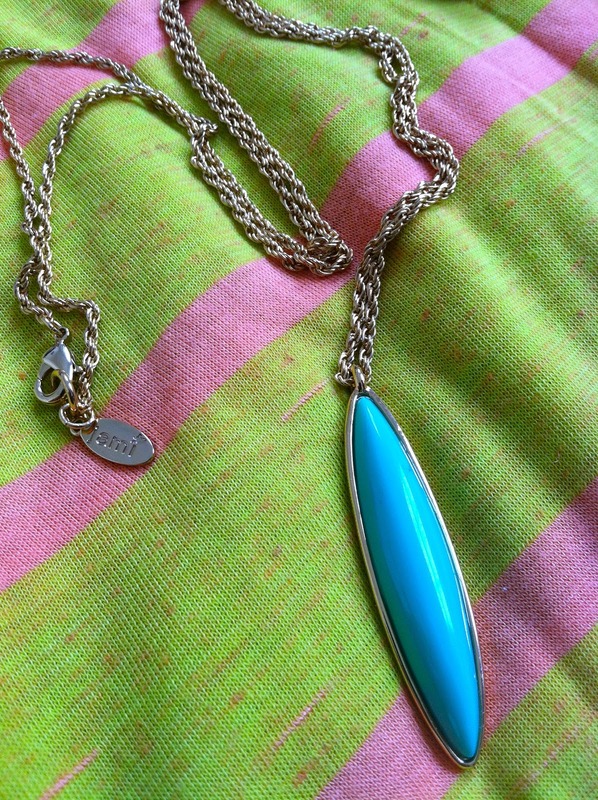 I LOVE this mint Etta necklace. Seriously I wear it all the time. I literally try to plan outfits around this necklace I love it so much! It's long, but the look is very clean and chic. It's perfect for layering or wearing on it's own. 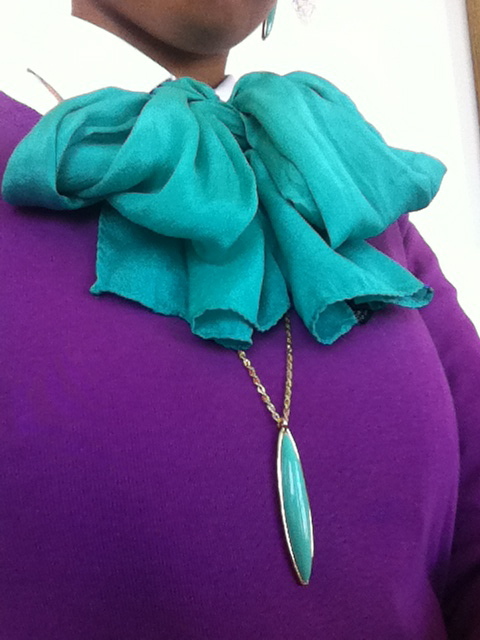 Chain with colored thread is a fun way to add color to an outfit. The Estelle bracelet is a great way to pump up an arm party. It's a fabulous statement piece to wear on it's own as well. 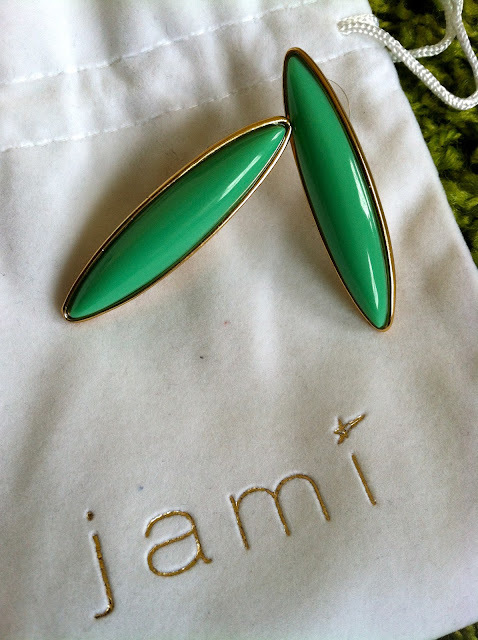 These mint Etta earrings were my first encounter with Jami, gifted to me in my Lucky FABB swag bag. Every time I put them on, I can't help but feel a bit sassy in them. They make me want to just rock my hair in a big afro and throw on some hot pink lipgloss...that just may be my next outfit pairing to wear them with...let me write that down for future use. Jami has such an amazing selection of jewelry that I'm sure you will love just as much as I do. 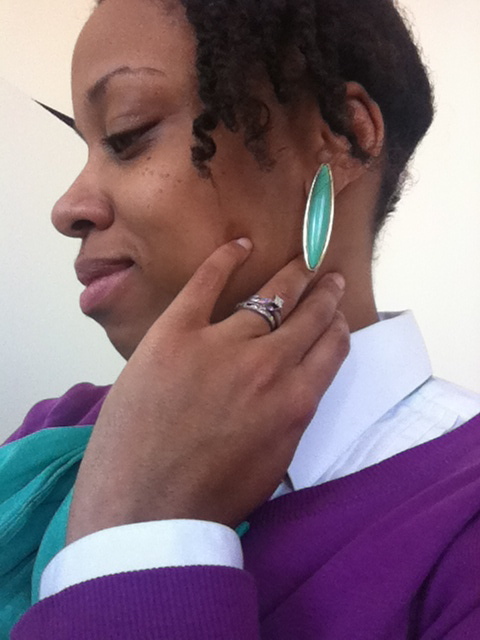 All of their gems come in various colors in addition to the mint I featured here. Believe me when I say this is one brand to keep an eye out for. With their fabulous accessories, I 'm sure they have more goodies for us fashion lovers up their sleeve. Love the elvie bangle and etta necklace! They look amazing on too! Great pictures! I love the bracelets! The blue goes so nice with the purple you are wearing. Love the chain and thread bracelet! Did you order it? Thanks! Actually it was gifted to me from Jami. I love it! Thanks for reading!